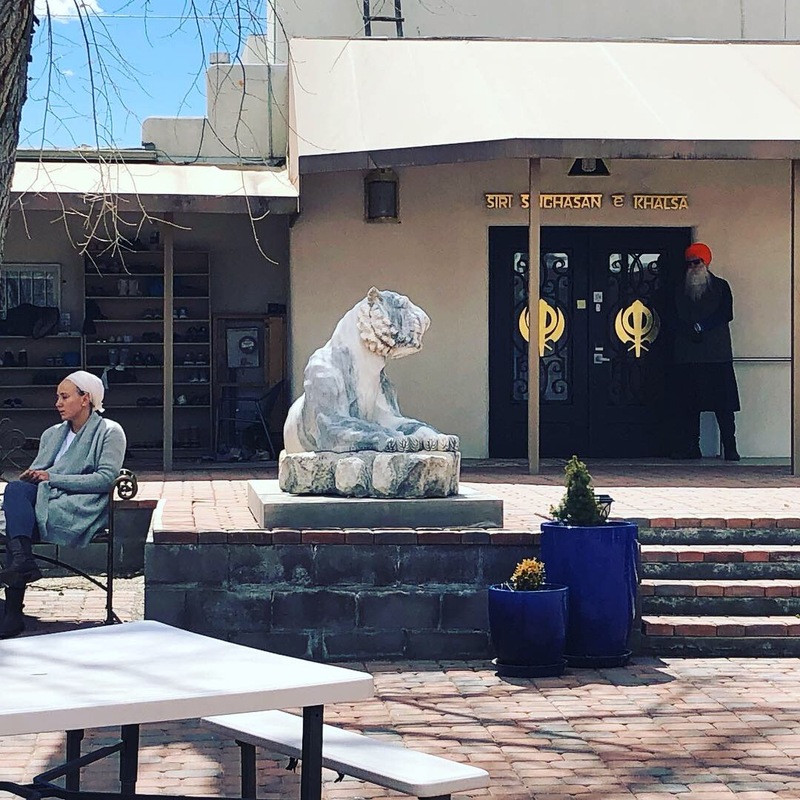 I recently returned home from an 8-day immersion course entitled Kundalini for Addiction Training in Espanola, New Mexico. I was super grateful because this training satisfied my Licensed Marriage & Family Therapist Continuing Education Credits along with my credits as a Kundalini Yoga Teacher. 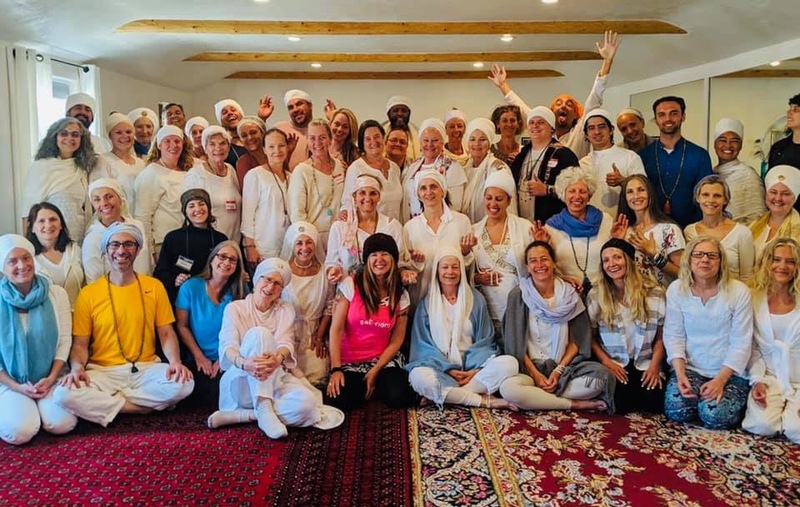 The training was taught by those who studied intimately under Yogi Bhajan and was graciously hosted at his ashram where many still live and carry on his work and live the lifestyle he and so many have found so helpful. Our schedule was intense. We woke for Sahdna around 3pm to walk 15 minutes in the dark along the dirt path of the ashram to the Gudwara. Gudwara is the Spiritual Practice that uses devotional songs and uplifting live music called Kirtan, to connect the individual with the Infinite. It is also the name of the structure we gathered in. We ate purely organic, vegetarian meals grown on the property. 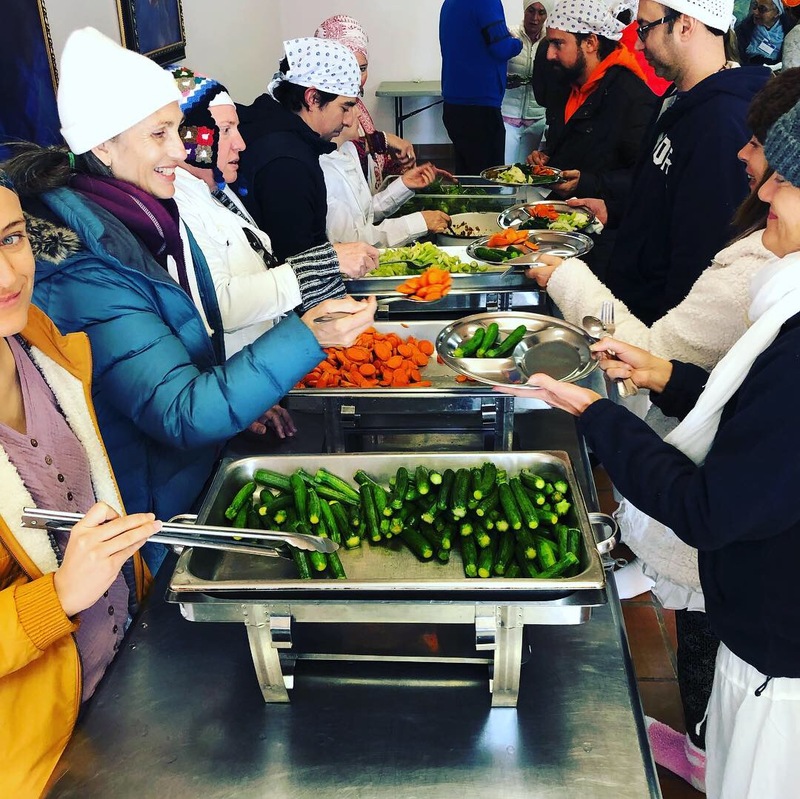 The delicious food was prepared by those committed to Seva (service). Many of these volunteers came to live at the ashram and worked in this way. We also joined in serving, washing dishes, cleaning the rooms, bathrooms and more. It was an honor. Dinner and bed was shortly after. There were 47 other amazing humans present. They came from all over the world to include: Guatemala, Mexico, Brazil, Columbia, Belgium, Spain, New Zealand, Australia, Iceland, Hawaii and many other states in America. The collective of these individuals was pure joy and light. I would like to share some of my take away thoughts from this experience. 1. )You are your own best teacher. All of your answers are inside of you. You simply must look deep within and create space and time to listen in order to find your way. 2. )When you understand who you are you will radiate. 3. )When you have a strong Nervous System you will have a strong and positive outlook on life. 4. )Gratitude is the grace inside. It is the connector and communicator to all that is good. 5. )Kundalini yoga can take away cravings, inner anger, shame, reduce addictive behavior and clear your mind of negative thinking. I am beyond thrilled to bring many of the teachings to Leap on a regular basis. I will be teaching from 1030-1145am regularly on Mondays beginning April 29th @ Leap Yoga, Folsom, CA. Please come check out this amazing practice, which is sure to open your Heart Wide Open. Written by Hannah Zackney, www.hannahzackney.com.